Networking is an investment in business development and a recently published paper on tensile force monitoring in steep slope harvesting jointly written by Canada’s FPInnovations’ steep slope initiative (SSI) scientists and researchers at an Italian university exemplifies that golden rule. The seed for the collaboration was planted at the Forestry Mechanization (FORMEC) conference, held annually in Europe. Initial discussions at the conference began in 2015 and ultimately resulted in the publication of a research paper in the Croatian Journal of Forest Engineering this year titled, Tensile Force Monitoring on Large Winch-Assist Forwarders Operating in British Columbia, co-authored by University of Padova PhD candidate, Omar Mologni, FPInnovations’ Peter Dyson and Dzhamal Amishev, and Italian scientists Andrea Rosario Proto, Giuseppe Zimbalatti, Raffaele Cavalli, and Stefano Grigolato. The paper summarizes that the forest industry around the world is facing common challenges in accessing wood fibre on steep terrain. Fully mechanized harvesting systems based on specialized machines, such as winch-assist forwarders, have been developed for improving harvesting success on steep grounds. The research team found that the use of cables for supporting the machine traction required a closer look. Only a few studies have analysed the cable tensile forces of winch-assist forwarders during real operations, and none focused on large machines typically used in North America. Key outcomes of the study include the improved understanding of tensile forces reached during winch-assist operations of large-scale forwarders in British Columbia. The trails, slope, travel direction, and distance of the machines from the anchor, were statistically significant and able to account for 49 % of tensile force variability. However, in the same conditions, the operator settings accounted for 77 % of the tensile force variability, suggesting the human factor is the main variable of cable tensile force behaviour during winch-assist operations. FPInnovations hosted Mologni, from Padua, Italy, for three months in 2017 and organized the logistics of field visits in the B.C. Interior. 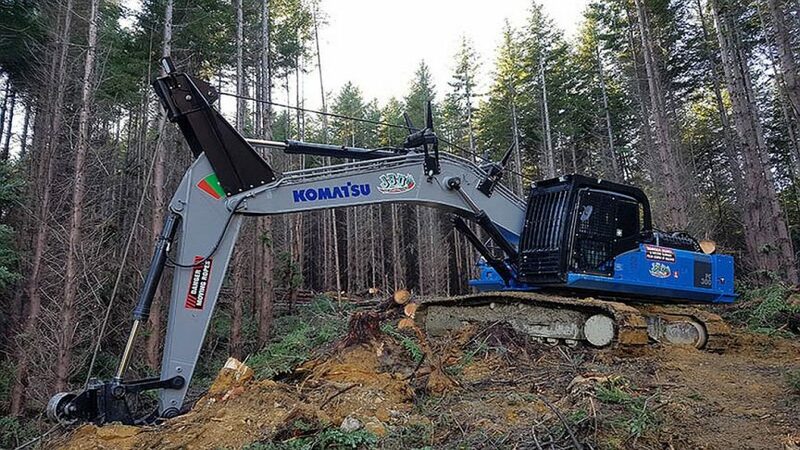 “Having the opportunity to work with FPInnovations on this new and developing harvesting technology improved my understanding of forest harvesting practises and gave me an appreciation of how diverse those approaches and equipment can be around the world,” said Mologni. FPInnovations is currently working on a subsequent collaborative journal publication with faculty members of the University of Padova.